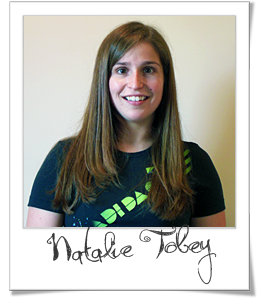 After an overuse injury of the thigh and knee, Natalie was suffering from Iliotibial band syndrome (IT Band Syndrome). ITBS is typically progressive, starting with tightness and often advancing to the point where the pain is debilitating. After treatment for her iliotibial band with Dr. Mark Huntsman at Georgia Clinic of Chiropractic, Natalie was able to resume all the activities she loved, such as running and biking. "I came to see Dr. Huntsman a few months ago for a case of IT Band Syndrome. This was keeping me from doing all the things I liked to do, like biking and running and just being really active. I also couldn’t sit for a long period of time, I couldn’t stand for a long period of time—it was just bad. Now since seeing Dr. Huntsman my condition has improved so much and I’m finally out of pain. I’m back on my bike and back running and doing all those things I used to love to do so much. This is all because of Dr. Huntsman and the treatments he was able to personalize for me, based on my condition. Dr. Huntsman is great and I highly recommend him!"